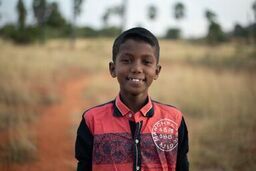 We believe that it is our responsibility as followers of Christ to care for orphans, and to truly work to change their conditions for life. 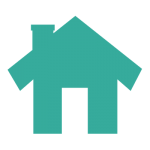 When we enter into a partnership with a home, we work to ensure that no child under their care will go without food, clothing, shelter or medical care. 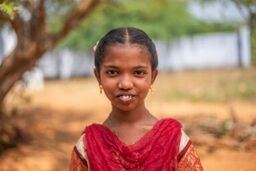 When you sponsor a child, 100% of your gift will go directly to the home that the child lives in and provide that child with a quality education, healthcare, shelter, basic needs, and adult mentors who can share the love of Christ. 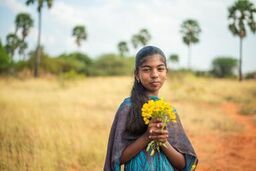 You will also have a specific name and face to pray for, and throughout the year, you will receive updates and communication from your sponsored child in the form of letters, artwork, or emails. Global orphan care is complicated, costly, and sometimes riddled with corruption. 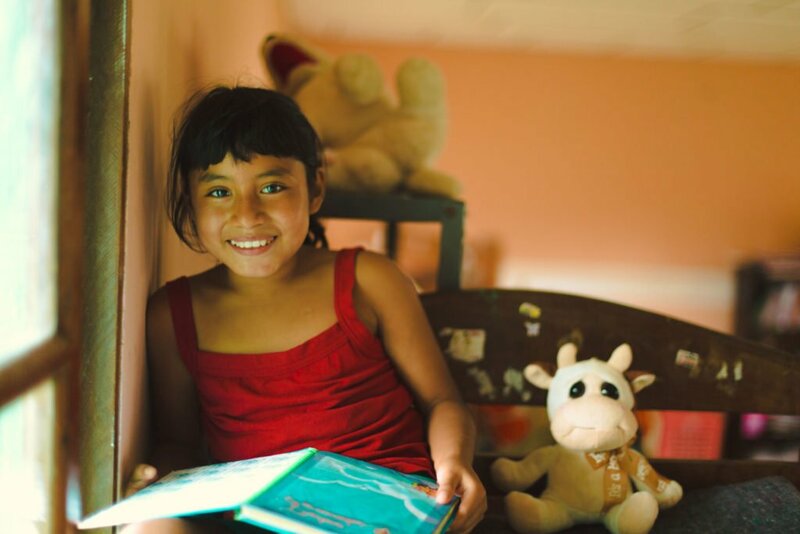 When you make a gift through SOW, you can know that all of our partner homes agree to provide a high standard of care and accountability. 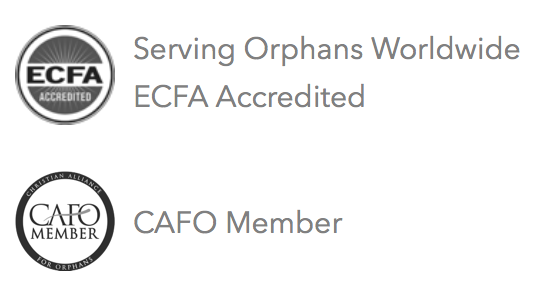 This includes announced and unannounced site visits, monthly reports, and other measures to ensure that your gift is changing the life of an orphaned or abandoned child. 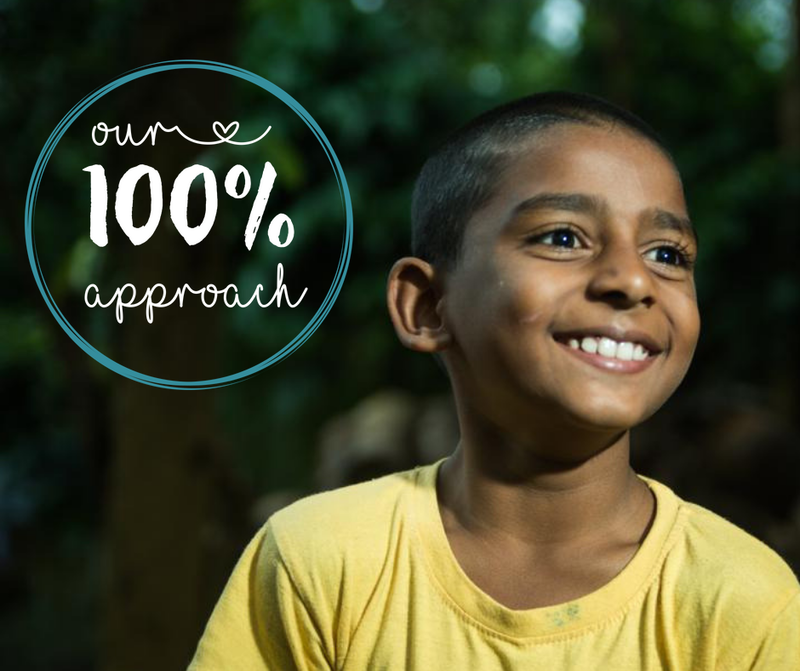 Our promise to you is that 100% of your gift will go directly to orphan care. 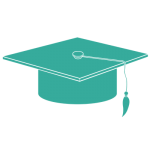 The SOW administrative costs have already been covered (Everything from staff salaries to paper clips). I currently live in Eastern DR Congo. 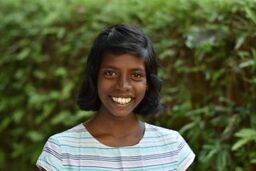 Jeanine loves to play handball with her friends, and is an exceptional student. She was double orphaned at an early age losing both parents at the same time. She loves to write and a big dream of hers is to be a journalist or editor one day. B'hati is very athletic, and enjoys playing outside with his friends. So far, he has not ever attended school and does not know how to read or write. However, he dreams that one day soon he can catch up to some of his peers and start classes. 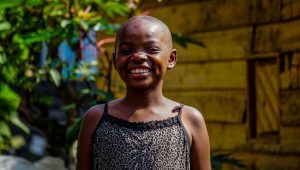 Annah is doing very well in school and dreams of being a medical worker one day. She speaks DR Congo dialect French and enjoys art. 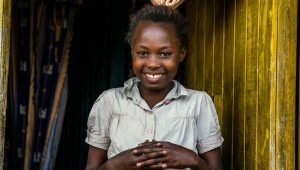 Sponsorship would help her continue to afford school fees after she finishes year 5. 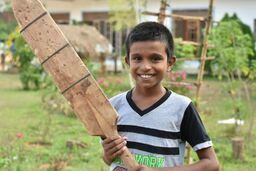 Sadeep enjoys playing a Sri Lakan form of baseball. He also is a natural when it comes to playing music, which he also enjoys. His favorite instrument is the serpina, a Sri Lakan cultural drum. 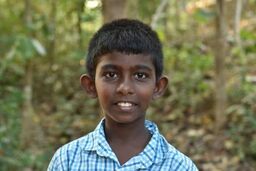 Janaka enjoys playing sports, especially running and cricket. 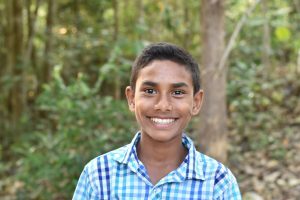 Janaka also loves gardening and raising hens. 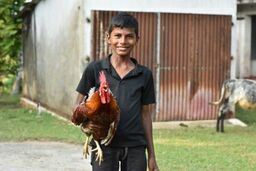 He and his friends Isuru and Ravindu asked the home directors for hens and have been raising them ever since. He likes to play cricket. He also like to play with electronics. They call him the "ironman," because when he gets any toys, he tears them apart to plays with inner-electronics of the toy. He dreams of pastoring a church some day. Please pray for his studies. Isuru had a very traumatic life prior to coming into the home and still deals with some of the negative effects. 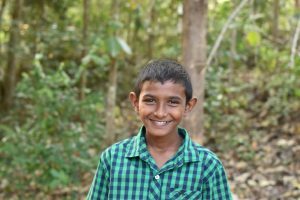 Akosh is very smart and is doing great in his studies. His favorite subject is history. Akosh wants to one day become a bus conductor, i.e. the one who collects the money on buses! Naomi loves to play any game that involves being outside. If anyone is playing a game, she wants to be involved in the game. She especially likes to play an Indian game called "coco." Naomi also has a genuine passion for her studies. She loves to read and do homework. 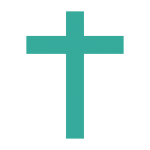 Naomi also loves to memorize scripture verses, which she is very good at. Deborah is by far the most competitive child in Destiny Village. She is very active and loves to win at whatever the other children are playing. Deborah has won several awards for racing at her school. When asked what she likes to do, Deborah said that she loves to play and to pray. Ashvine is a bashful young girl. She loves to host pretend meals. She will form dolls out leaves, sticks and random fabric and make pretend dishes, teacups and food items out of random items she finds around the property. Joel is a very good singer. He sings all the time throughout the day, and the other children will often call on him to sing a song. He also loves to dance and play games. Joel always wants to make sure that people know how fast he is. He loves to race others. Thanga Rose is a very quiet and calm child. She loves to play inside games with other children. She loves reading books and is a very talented at drawing. Her favorite thing to do is writing short, fictional stories. Babith is a very good student. She is consistently first in academics in her class. She is innately intelligent, but she also has a very strong study ethic. When she finishes high school, she wants to go to nursing school and become a nurse. 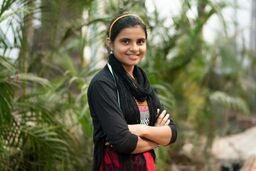 Rakshitha is a very active and competitive young girl. She loves to play and compete with others. She especially enjoys playing two games that are very common in India called "coco" and "kabuki." 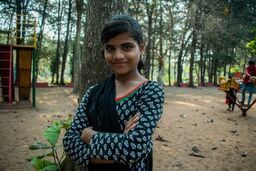 She recently won a competition in her school in the game kabadi, which she is very talented at. Outside of sports, Rakshitha has a genuine love for studies. She thoroughly enjoys doing her schoolwork. 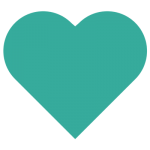 Ranjitha is always looking for ways to help others. She genuinely loves to help out the cooks in the home with cooking different dishes. She also loves to sing songs and draw pictures. Finally, Ranjitha does like playing some outdoor team games, such as the Indian game of "kabadi." Sangeetha is a very outgoing child. She loves being around people and meeting new friends. She can be very competitive in all sports. There is not a sport that she is not talented in. She especially enjoys playing the Indian sport of "kabadi." She also loves to sing. 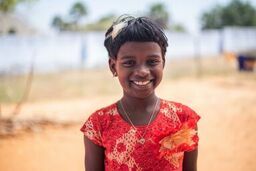 When asked what her biggest dream is, Malikanthi simply stated that she wants to get rid of all the bad things happening in this world. 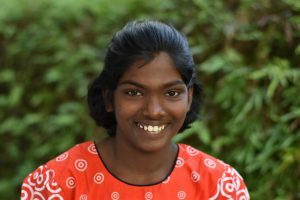 There was a time in Malikanthi's life, where some unjust things happened to her. She clearly wants to prevent those things from happening to other children like her. Sabeetha loves to draw. 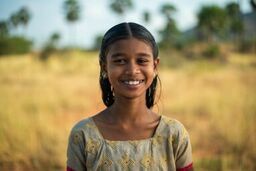 She has won competitions in her school, and just recently, she won a competition in drawing that placed her first in the entire Western province in Sri Lanka! Baggya initially seems to be a quiet, bashful young girl. However, behind the quiet demeanor, she loves socializing with her many friends. She is very pleasant to be around, so for her, making friends is natural. As for her hobbies, Baggya loves to sing, which she is very talented at.